With big data analytics, high-performance databases, and server virtualization, the demand for performance has never been higher. One of the biggest breakthroughs for data center operators has been the solid-state drive (SSD), which provides a significantly faster and more reliable alternative to the hard disk drive (HDD). But not all SSDs are created equal. Many SSDs today still rely on interfaces that were designed with older technology in mind. 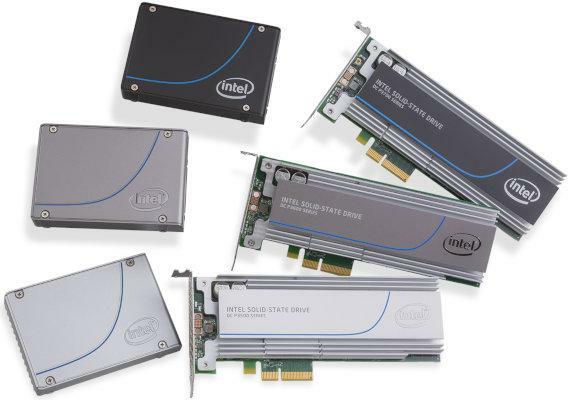 This article explains the differences between SATA SSDs and NVMe SSDs, helping you understand the importance of choosing a progressive data center that offers cutting-edge data storage solutions to guarantee maximum performance and stability to meet the needs of modern internet applications. Nearly two decades after its introduction, Serial ATA (SATA), a computer bus interface that connects host bus adapters to mass storage devices, is still the most dominant interface for storage in systems today. Because of its prevalence, the became the interface of choice for the first generation of SSDs, which are now referred to as SATA SSDs. The problem is that SATA was designed with older technology in mind, and its transfer rate is capped at 600 MB/s because it uses the legacy protocol Advanced Host Controller Interface (AHCI), to connect the CPU/memory subsystem. It also suffers from high latency, making it unfit for real-time internet applications. To overcome the limitations of SATA, more than 80 companies across the industry developed the NVM Express (NVMe) specification and released it on March 1, 2011. NVMe solves the problem that occurs when SSDs collide with legacy computer bus interfaces, bottlenecking, by capitalizing on the low latency and internal parallelism of solid-state storage devices and delivering over 3,000 MB/s of throughput. When we at BaCloud decided to introduce a new range of dedicated Linux/Windows PRO VPS servers, NVMe technology was an easy choice. 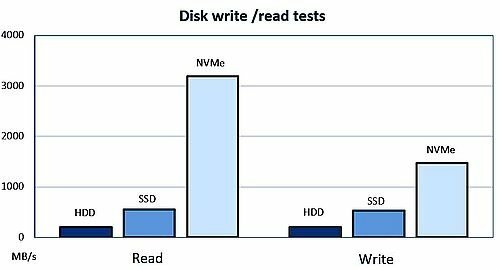 As you can see from the graph above, NVMe SSDs are approximately 5 times faster than SATA SSDs. They also have much lower latency, which can largely be attributed to a streamlined storage stack and the fact that NVMe specification requires no register reads to issue a command. With NVMe over Fabrics (NVMe-oF), a technology specification designed to enable nonvolatile memory express message-based commands to transfer data between a host computer and a target SSD or system over a network, the distances across which an NVMe host device and NVMe storage drive or subsystem can connect can be significantly extended while maintaining the very low latency available via NVMe. Raw performance gains are always exciting, but data centers must deliver performance in a way that matters to the end-user. We at BaCloud have decided to exclusively use NVMe SSDs for our USA data center because we want our customers to benefit from extremely low annual failure rates, which are possible to achieve only with cutting-edge storage technology—not legacy solutions.